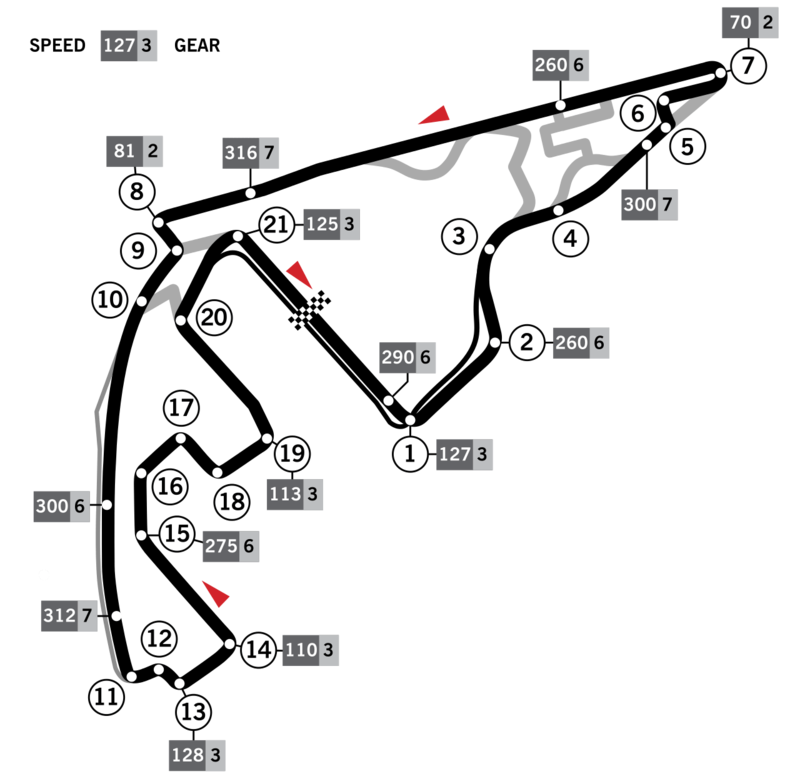 So we are finally at the end of the 2015 F1 season, and for the grand finale, we come to Abu Dhabi, a modern, slick circuit that has delivered a few moments of drama over the years, though perhaps more due to the circumstances behind the races than because of the actual races themselves. This year’s race is largely immaterial, given the key battles have already been decided, but there is still pride to play for, and not every driver and constructor’s position in the championships is settled. It’s difficult to call this one. Rosberg is on a rich run of form, having maybe freed himself from the shackles of the title race, and might well go into this race full of confidence. Hamilton will remain keen to stop him, if only to prove a point, but how much will it matter to either one of them now? The track itself will lend itself to scraps at turns 5 6 and 7, and further fights at turn 8 and turns 11 12 and 13. Turn 1 might see some activity too. The unique twilight race will hopefully provide a fitting swansong to 2015!